Let Confident Living Home Therapy Consulting help you with options! Are you concerned that you or a loved one is no longer safe to live alone? Do you or someone you love have a physically limiting condition that impacts their ability to live safely in their home? Confident Living Home Therapy Solutions will provide you with all the information you need to make the right decisions for you and your loved ones. …a comprehensive physical assessment of resident’s balance, strength, and cognition, and a thorough home accessibility and safety assessment. 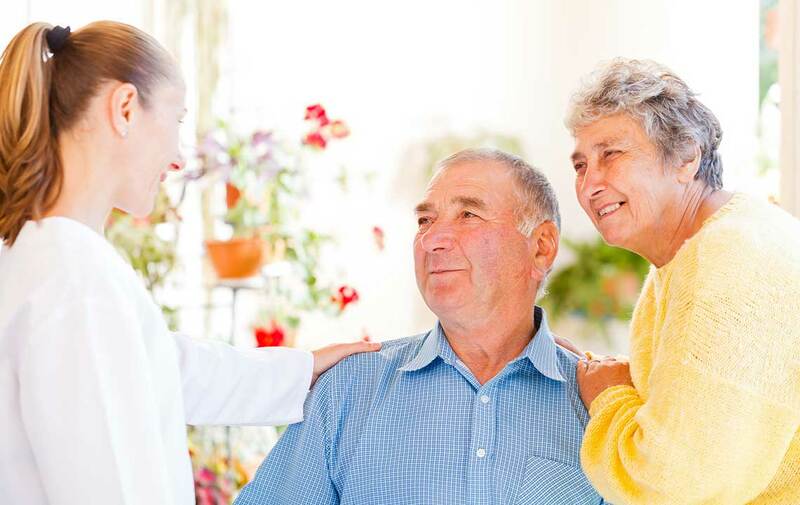 This service includes an interview of the resident and caregivers to determine needs and concerns, a comprehensive physical assessment of resident’s balance, strength, and cognition, and a thorough home accessibility and safety assessment. Findings will be discussed at the conclusion of the appointment. A detailed cost-benefit analysis of residential options (i.e., staying home with modifications/assistance versus assisted living versus independent living apartment) will also be discussed. A final report of findings, recommendations, potential resources, and the cost-benefit analysis will be mailed to all involved parties within 3 business days. This service includes a one-hour in-home evaluation with the client, caregivers, and preferred equipment supplier. During this time, the client will be interviewed to determine relevant medical history, and will receive a thorough postural assessment and custom pressure mapping evaluation to assess risk for pressure ulcers. Pressure mapping uses a computer interface to give real-time feedback of pressure distribution to determine optimal seating system for clients with disabilities who utilize wheelchairs as their primary means of mobility. A customized report and letter of medical necessity will be completed within 3 business days of receiving the quote for recommended equipment from the equipment supplier. The letter will be sent to the ordering physician for approval and then submitted to the client’s equipment supplier to receive insurance approval. This service also includes a 30 minute appointment at the time of equipment delivery to ensure order accuracy, customized fit, and customer satisfaction. We believe the highest compliment is a referral! We would like to thank you for your referral by rewarding you with a $25 bonus for each completed appointment from those you refer to us! If you refer someone to us, be sure they tell us your name, and we will mail you a check for $25 within 5 business days after their completed appointment. Only prior customers are eligible for this referral bonus.